Fat binders work by forming bonds with molecules of fat found within the digestive system, thus reducing the amount of fat that is absorbed by the body after meals. 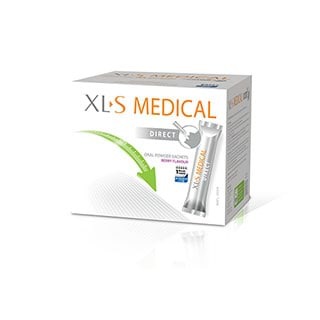 XLS Medical Direct Fat Binder takes this to another level by enlisting the trusted fat binder Litramine to bind with nearly 30 percent of fat molecules found in the stomach itself. The combined molecules of fiber and fat cannot be absorbed by the intestines. At the same time, the XLS Fat Binding formula provides the body with vital fat-soluble vitamins. Excess carbs in the diet are often transformed into glucose, and then into fat. Carb blockers work by restricting the action of enzymes that enable this transformation. XLS Medical Carb Blocker makes use of the proprietary carb blocker PhaseLite, which works to prevent the formation of carbohydrate based body fat. Another way to help dieters win the fitness battle is with appetite reducers. These products are fairly self-explanatory, maximizing weight loss by minimizing cravings. XLS Medical Appetite Reducer brings the power of potent appetite suppressant Redusure to the table. This special blend of dietary fibers can be taken with meals, and provides a sensation of comfortable fullness without any added calories. There is much that goes into achieving good health. That said, those who harness the power of XLS Medical nutritional supplements will be making the journey easier.